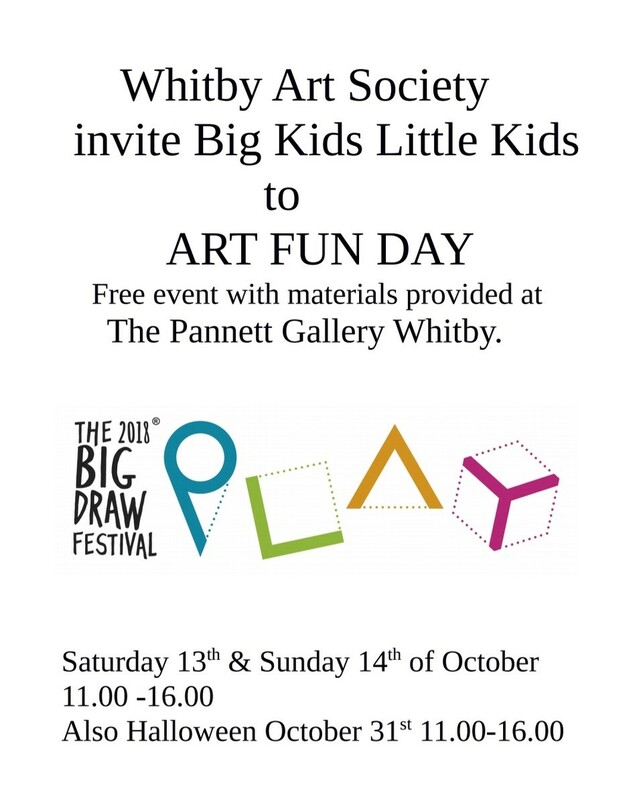 Whitby Art Society are running three Art Fun Days at the Pannett Art Gallery as part of the 2018 Big Draw Festival. These fun drawing workshops are Saturday 13th and Sunday 14th October, 11am – 4pm and a special half term Halloween drawing workshop on Wednesday October 31st, also 11am – 4pm. The Big Draw is the world’s biggest drawing festival from The Campaign for Drawing and the theme for 2018 is Play! – For kids and big kids alike. The Big Draw Festival 2018 is all about letting loose, embracing happy accidents, discovery, and most importantly having fun with a choice of materials. So, come along to this free event and enjoy experimenting, with all materials provided. The event is open to all ages; however, children must be accompanied by an adult.